Leicester man jailed for 16 months over racist rants. A judge has jailed a racist who insulted a bus driver and a security guard. Lewis Nigel Foulds, who was told his “disgraceful” views would not be tolerated in Leicester, began shouting and swearing at Judge Simon Hammond as he was sentenced to 16 months in prison. The 21-year-old, who appeared via a live television link between Leicester Crown Court and Leicester Prison, had to be restrained by guards and removed from the video-link room. Sentencing, Judge Hammond said: “Leicester is a multi-cultural society and people in Leicester are proud of that and work hard to promote it. There’s no place in British society for people like this defendant, who holds disgraceful, disgusting views and adopts disgraceful conduct. “People are entitled to go about their business without having racial insults thrown at them. The court heard that at 1pm on March 25, Foulds was on a bus in Keyham Lane, Leicester, which was being driven by a Sikh driver. There were two female passengers on the bus. Neither woman was Muslim and they were not wearing veils, prosecutor Michael Waterfield told the court. The driver ordered Foulds off the bus. Foulds then picked up £2.14 in change from the driver’s tray and threw it, or dropped it, before getting off. 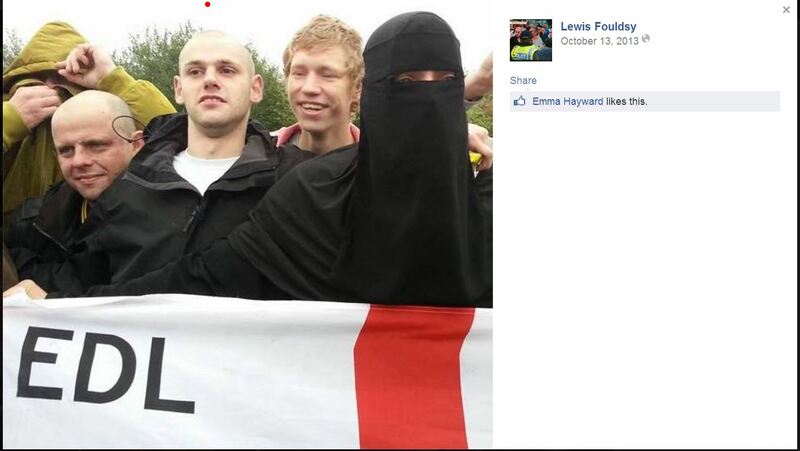 In a second incident, at 10.30pm on April 30, Foulds confronted an Asian security guard outside a Sainsbury’s store in Narborough Road, again hurling abusive and racist remarks. When prevented from entering the shop, he challenged the guard to a fight and took up a boxing stance, before leaving. He said Foulds’ mind had been “polluted” by various racist groups. He said Foulds has an attention deficit disorder and was “on the autistic spectrum”. Foulds pleaded guilty to two offences of racially-aggravated threatening behaviour and theft of £2.14 from the bus. The court heard he had three convictions for racially-aggravated threatening behaviour.